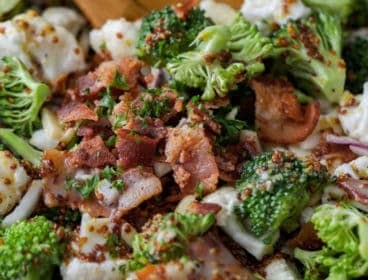 This Coleslaw Recipe is one I’ve been making pretty much forever! This homemade coleslaw is quick and easy and my whole family loves it. 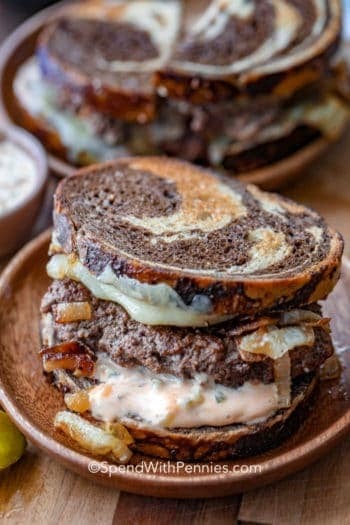 Goes with great as a side, or sandwich topper! 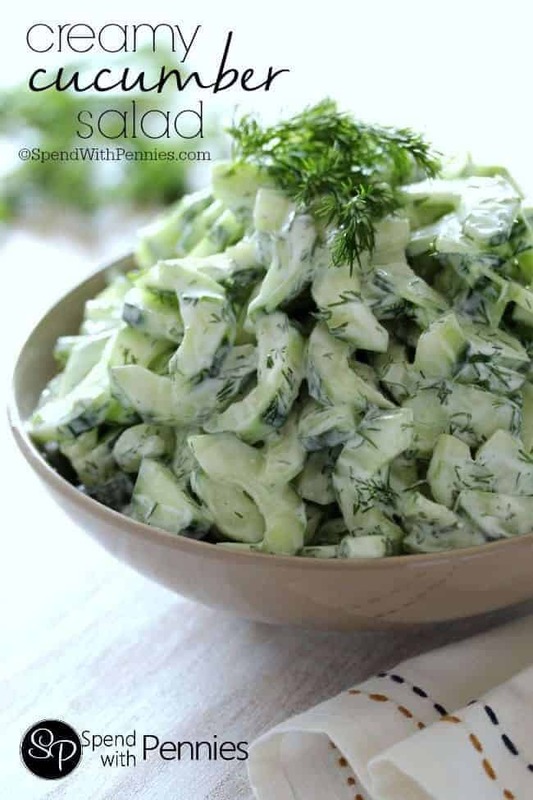 A good homemade coleslaw recipe is essential in every kitchen! Coleslaw is one of those recipes you really can’t go wrong with, that everyone seems to love. 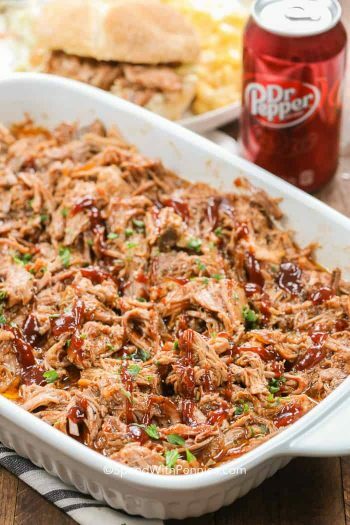 It’s the perfect side dish to pile on your plate if you’re making ribs, or fish and chips, and it’s amazing stacked on top of our favorite Slow Cooker Pulled Pork Sandwiches! While I sometimes throw in extras to create new dishes like Creamy Apple Slaw, I also love a totally basic coleslaw recipe too. Nothing fancy, just the traditional coleslaw flavors we know and love! 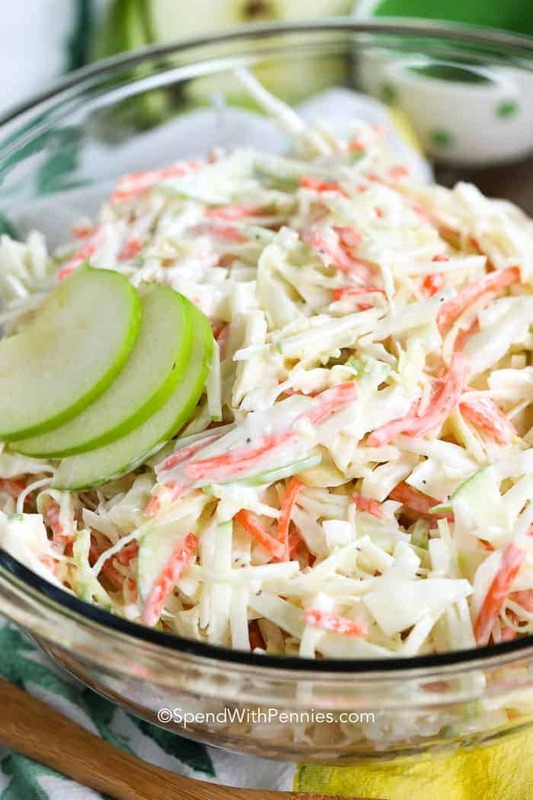 This is the best coleslaw recipe, it’s delicious and the perfect side for any barbecue or picnic. We’ve all enjoyed slaw as a side dish, but it’s also fantastic on sandwiches like pulled pork or burgers! 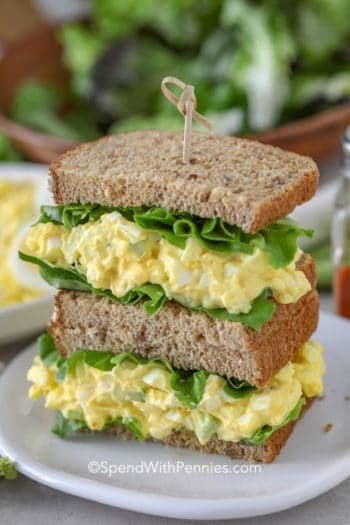 Get creative with it, it goes with literally everything from fish and chips to inside a clubhouse sandwich! 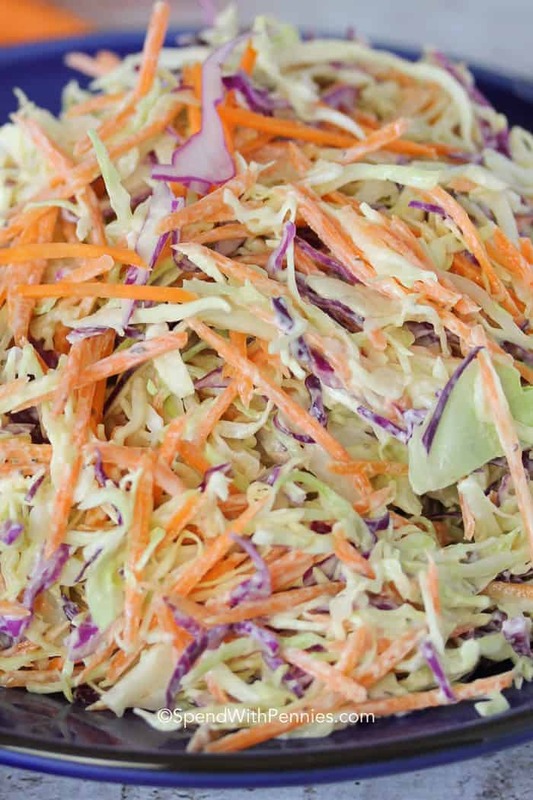 This homemade coleslaw starts with cabbage and carrots. 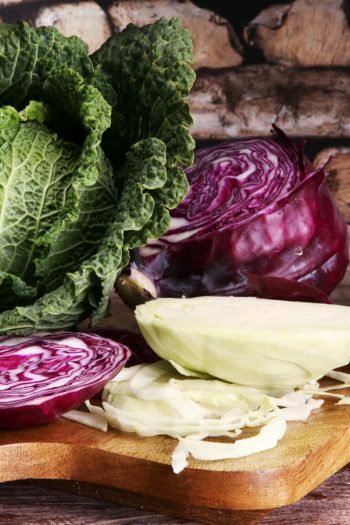 I use both purple or red cabbage and green cabbage in this recipe because it really makes it pretty. If you only have one type of cabbage or the other, that will work just fine too! 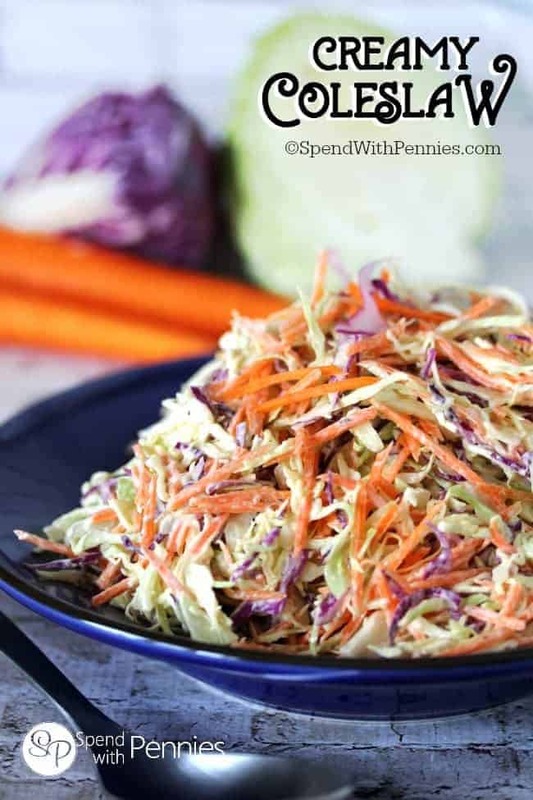 I use a mandolin to thinly shred the cabbage and make this homemade coleslaw a breeze (not to mention I use my mandolin for a million other things in the kitchen). 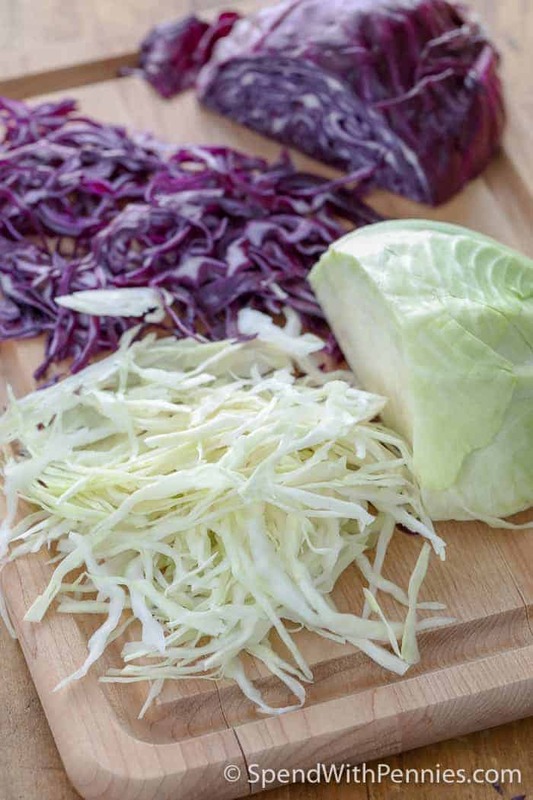 If you’d prefer, you can buy pre-shredded cabbage, it makes this coleslaw recipe easy and quick. I do find chopping my own cabbage gives the slaw a better texture! What is in Coleslaw Dressing? 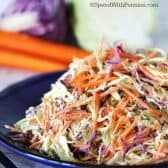 There are two types of dressing, this coleslaw recipe uses mayonnaise as a base for a great creamy slaw (my favorite kind). You can also have a vinaigrette based dressing. 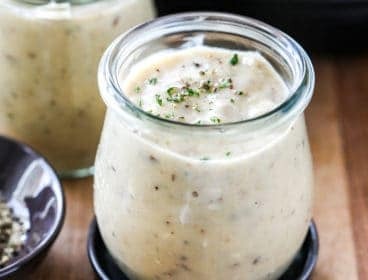 For a vinaigrette dressing, you’ll need no mayo but you’ll add in vinegar! 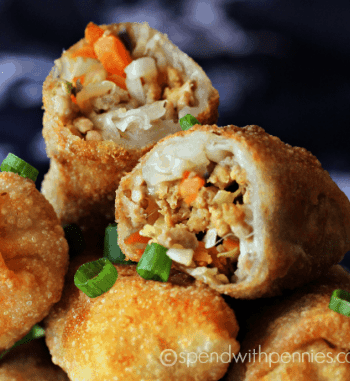 Either one is delicious and you’ll want to make sure you don’t skip the celery seed, it really adds a lot of flavor to this dish. The dressing for this homemade coleslaw can be made up to 3 days ahead of time and tossed with the slaw the day of serving. 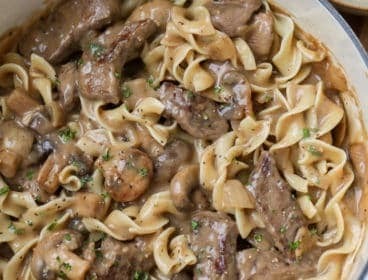 I find that leaving it to refrigerate about an hour before serving allows the flavors to blend and gives the best results! If you have any leftovers, they can be refrigerated for up to two days. Fresh Tomato Salad – Garden fresh! 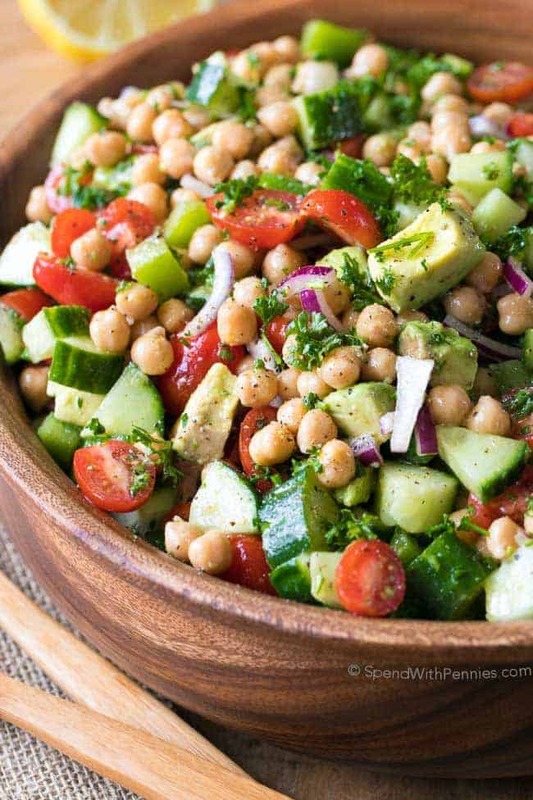 Old Fashioned Bean Salad – My mother-in-law’s recipe! This creamy coleslaw is an easy classic. 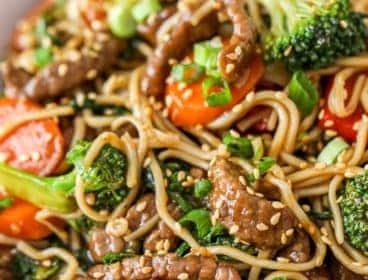 It can be made well ahead of time making it the perfect side for any bbq! 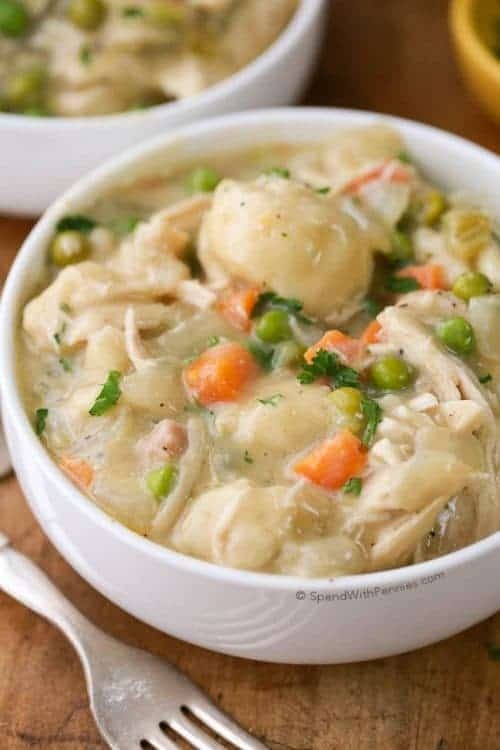 Toss with cabbage & carrots. 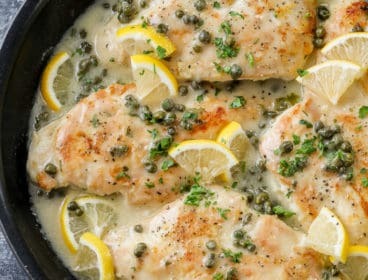 Refrigerate at least 1 hour before serving to allow flavors to blend. 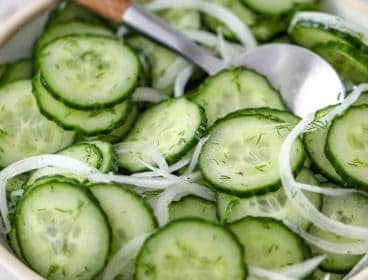 More Side Dishes You’ll Love!